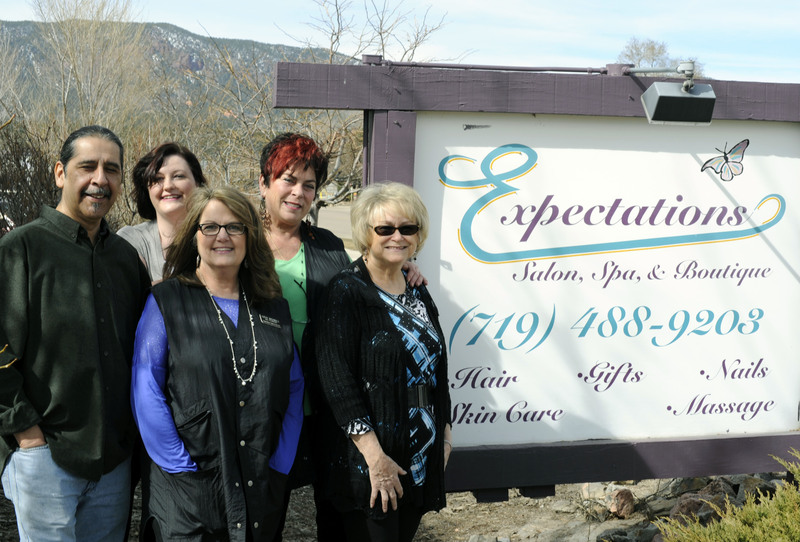 Established in 1998, Expectations Salon, Spa & Boutique is located in Downtown Historic Monument, Colorado. We provide an exclusive salon and day spa atmosphere in a small town setting. Come and relax, be pampered and enjoy the services you deserve. Because of our knowledge, experience and love of our chosen profession, we go the extra mile to customize our services for your individual needs and desires. Visit Expectations Salon, Spa & Boutique and become your best you! We are committed to supporting and serving our community by aligning with organizations like Tri-lakes Chamber of Commerce and Downtown Monument Merchants, Monument Hill KIWANIS, Legacy Sertoma and other non profits in El Paso County. Maria Tillberry has been serving the Monument community since 1998. She and her staff have over 80 years of combined experience! You will feel right at home at Expectations Salon and Spa, where you can expect the best. Kathy and Annie are nail techs with integrity. Their work focuses on beautiful and healthy hands and feet. They use top of the line products because their customers deserve the best in quality, pampering, and results. Safety and sanitation are top priority.